Cusco is a cultural capital par excellence, is a mystical and cosmopolitan city, with ancestral customs that are kept alive thanks to its people; this is expressed in religious celebrations, dances, art and can be noticed in each of the streets of the historic center of the city. Cusco has many museums and art galleries, in its works the artistic imagination, the art and conception of the Andean world with the European cultural influence are mixed. The delicious landscapes of the city of Cusco and the Sacred Valley of the Incas, feed the inspiration of the local artists. You can find works of art of all prices in the art galleries of Cusco, some costing S/. 60 (US $ 20) and also works of collection that can cost a small fortune. You can find amazing works of art, in commercial galleries, in art museums and in fairs and workshops held in the center of the city; as in the neighborhood of San Blas. The maximum expression of the religious works of art, can be found in the numerous churches of the city of Cusco. Cusco is “the navel of the world”, the capital of the ancient empire of the Incas (Tahuantinsuyo), the continent’s oldest continuously inhabited city and the archaeological capital of America. But they are not only works of art, Cusco is full of culture ; in it you can find some of the most impressive historical-cultural places on the planet; Machu Picchu, one of the new wonders of the world or Sacsayhuaman, one of the most mysterious places on the planet, are just a few of them; but the culture reaches all the corners (and cuisines) of Cusco, try the delicious local gastronomy, some of the dishes you can taste come from the time of the Incas, such as the Chairo; but you can also get culture in the nights of Cusco, where you can exchange ideas and a drink with people of all religions and cultures from all countries of the world. The Museum of Natural History in Cusco will show you a collection (somewhat heterogeneous) of the animals and birds you can see in the region; among the collection you can see more than 150 species of snakes pertaining to the Amazon, and some of them can be seen in the forest eyebrow of the National Park of Machu Picchu. “The Inka Museum” is the museum that lasts and keeps the “Andean Culture” alive, its presentation involves the visitors, allowing it to be a participant in the exhibition; a “cultural adventure” that will allow you to see and enjoy the evolution of the culture and the Andean individual and his society. “The Museum of Siege of Qoricancha” has 5 rooms in which the history of ancient Peruvians is exposed and explains pre-Inca and Inca pieces recovered from excavations made on the site; also shows colonial pieces and samples of the chronological evolution of the ancient inhabitants of the city of Cusco. The pieces include fragments of ceramics, samples of metallurgy, fabrics, sculptures, paintings and even musical instruments. To enter this and other museums on the list, you will need to know how to buy the Cusco Tourist Ticket. The Municipal Museum of Contemporary Art showcase beautiful works of contemporary art, influenced by the ancient Andean culture. It is an ideal place for all people who enjoy modern art; this museum is located inside the municipal palace in Square Regocijo one block from the Main Square of the Cusco. 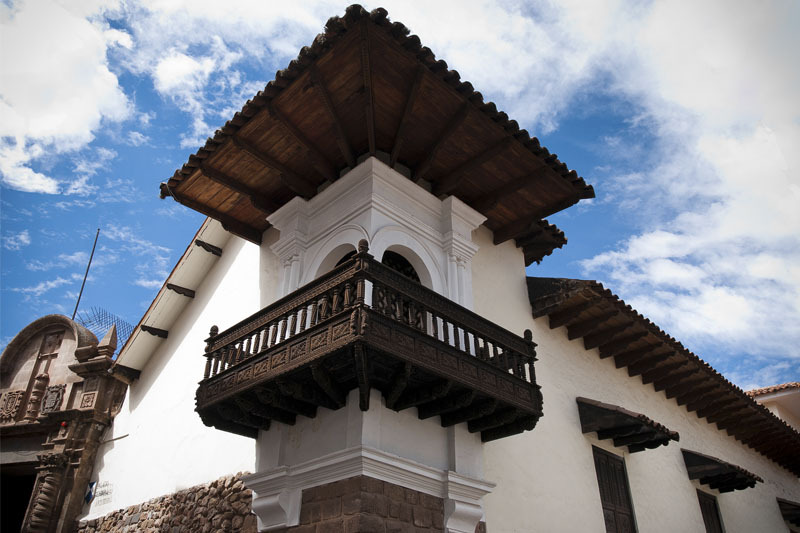 Casa Cabrera is an art gallery, a museum and also a cultural center where you can be in contact with people from Cusco; its date of construction is located in the XVI century. The construction was seriously damaged by an earthquake (in the seventeenth century) but was recovered and restored. At present the cabrera house, houses a permanent exhibition of historical photographs taken by the renowned Peruvian photographer Martín Chambi; but you can also find works by other authors and a valuable collection of ancient coins. The foundations of this building belong to the old Palace of Inca Roca; the building that can be seen today is the Archbishop’s Palace, built in the 18th century and where the Museum of Religious Art of Cusco currently operates. As its name indicates, this museum houses some of the best works of religious art, nevertheless there are people who enjoy more the construction itself; the walls are beautifully decorated, it has cedar ceilings and some unique stained glass windows designed especially for the Archbishop’s Palace. It is located in the basement of the Cusco Tourist Ticket office half a block from the Main Square of the Cusco on El Sol Avenue. Its collection houses many interesting pieces of art, ceramics, paintings, sculptures and photographs of many notables Peruvian artists; among them Edilberto Mérida, Hilario Mendivil and also Santiago Rojas; some of them have very famous galleries, in the neighborhood of artists of San Blas. The Museum of Popular Art is owned by the American Institute of Art, so its exhibition is very varied. It is located just a few blocks from the Main Square of the Cusco. The museum is located in the heart of the beautiful monastery of Santa Catalina and has one of the best art collections in the whole city; It houses numerous works by artists of the famous “Cusqueña School“. In addition to religious works, his exhibition includes colonial works, but also some ancient religious relics; is an impressive chapel full of baroque details. It is located on Calle Santa Catalina Angosta, less than one block from the Main Square of the Cusco, Peru. The high altar carved in cedar is one of the details that can not be overlooked. The “Hilario Mendivil Museum” exhibits the original works of art of the late local religious artist Hilario Mendivil (1929 – 1977). The exhibition is a series of unique sculptures of rice (rice plaster); are often of a religious nature and tend to appear with elongated necks, a characteristic of the artist inspired by the stylized necks of llamas and alpacas. The most outstanding works are the “Virgin of Bethlehem” and the “Virgin of the Milk”. You can find this gallery on one side of the main square of the traditional neighborhood of San Blas. Traditional festivals are part of the culture of a city; must know that Cusco has many religious and traditional celebrations, some that come from the time of the Incas and others that were acquired with the Colony; some of them were converted into intangible heritage; among them we have the feast of Ollantaytambo (January), the international festival of the Inti Raymi and Corpus Christi (June), the feast of the Virgin of Paucartambo (August) and many, many other celebrations throughout the year.